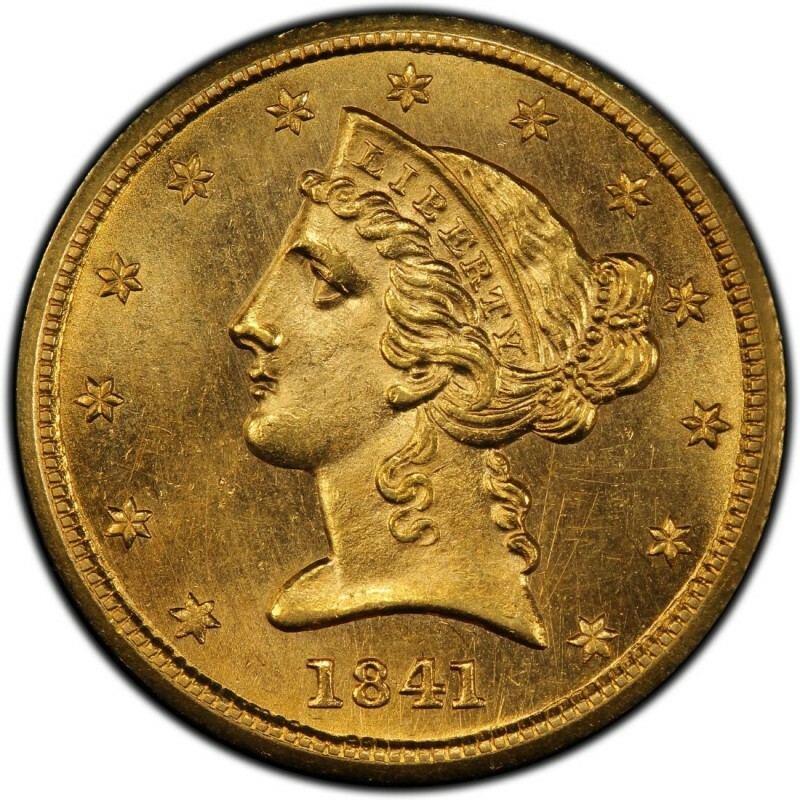 1841 Liberty Head half eagles are pursued by gold coin collectors and investors and are prized for their overall scarceness as well as their gold content. 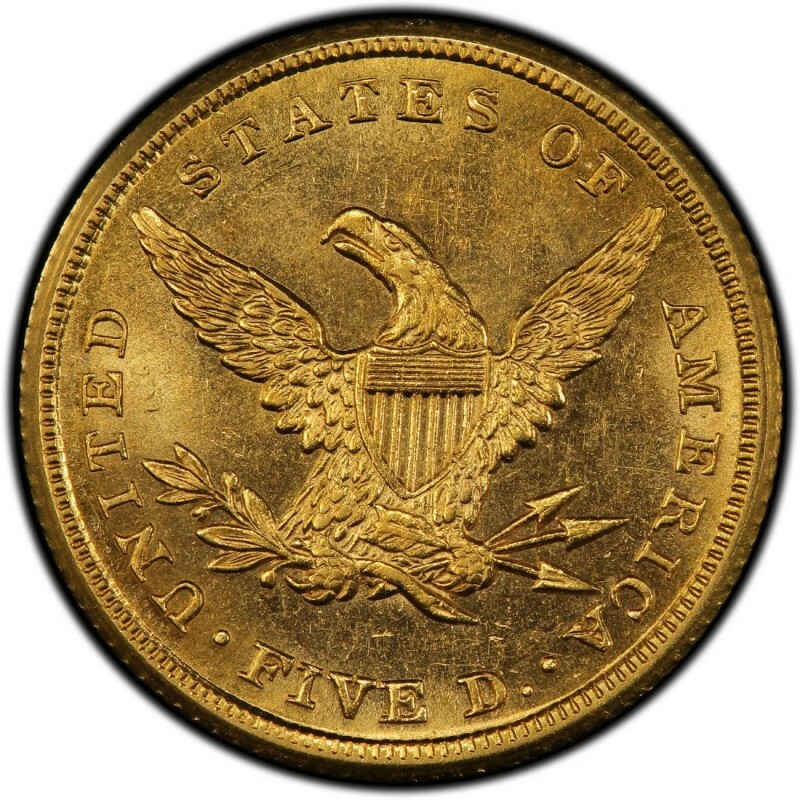 However, despite their gold content, Liberty Head half eagle coins are not regarded as bullion coinage as it has much more value as a numismatic collectible than as a simple gold bullion coin. 1841 half eagles are no exception, as two of the issues from that year are especially scarce and one is not even known to exist anymore. There’s much debate about the 1841-O half eagle. Where is it now? Is it even real? At one point, two coins apparently of the 1841-O date had been located, but one may have simply been an altered 1841-C. At any rate, as of this writing, the coin has not been seen in the public in some 60 years. The 1841-C and 1841-D, meanwhile, are not only genuine, but they are also very sought after, with far fewer pieces existing today than the mintage figures above would suggest. 1841-C Charlotte Gold $5 Half Eagle PCGS F15 Crusty and Right for You!